We took a cab from MFM airport and arrived at Sofitel Macau in about 20mins. In Macau, you can take a cab from point A to point B. They are all based on meter charges unlike some countries where you have to negotiate with the driver. Being able to speak mandarin/cantonese helps too!!! 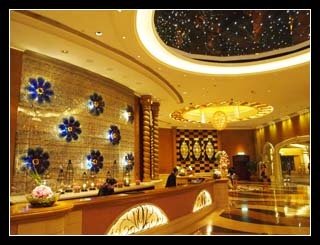 This is the lobby area of the hotel. The hotel has a casino at the level 1, 2 and 3 too!!! 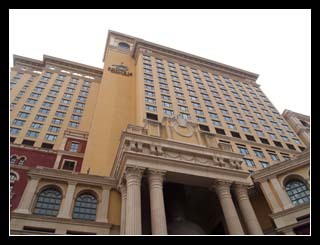 Here in Macau, nearly all the hotels have casinos. No wonder they are the Vegas of the East. Throughout my 3 nite stay, service was excellent. Recommended to all. 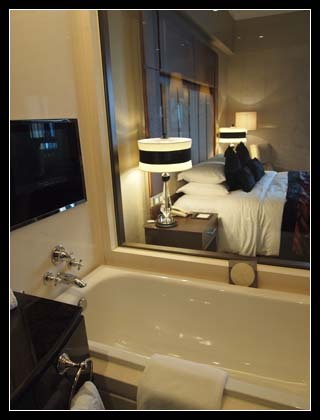 Check out the hotel room!!! 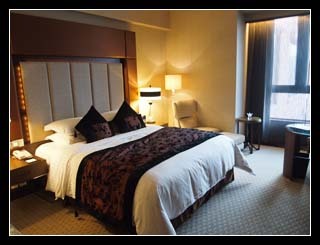 We stayed in room 1626 of the executive level, I sort of upgraded the room...hehe.. There is also a nice view of the river and city. Open concept bathroom with bathtub !!! Nice. View from the bathtub. 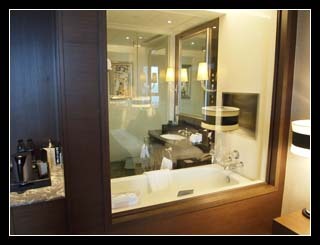 There is also a LCD tv for you to watch while soaking in the tub. 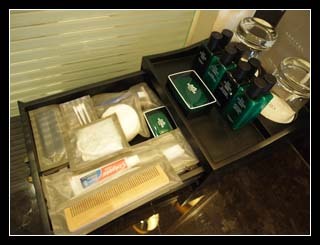 That's not all, there is also complimentary branded toiletries for your use. Hermes leh, dun play play. Last but not least, the view from the hotel window. 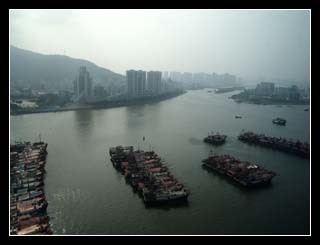 On the extreme right, that's ZhuHai (China).